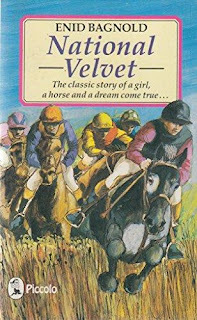 Welcome to the latest episode of Desert Island Pony Books, where my guest is author Kate Cuthbert. As the series goes on, I am finding it fascinating to see why people like the books they've chosen, and if anything it's even more fascinating to find out about the ones they'd leave behind. Kate is the author of the excellent Hatters series, which is set in a school where riding is on the curriculum. The series is full of sparky and believable characters, and if you're looking for a new series to get your teeth into, I can highly recommend this one. The first book is For the Love of Fly, and it's had (deservedly) excellent reviews on Amazon. The second book will be out soon, and there are three more in the pipeline. You can follow Kate on Twitter and Instagram. So, welcome Kate – please tell us about your books. I'm delighted to welcome John Rees to the blog to talk about his desert island book choices. A very warm welcome to my first guest on Desert Island Pony Books: Cressida Ellen Schofield. Cressida, like me, keeps body and soul together by proofreading and editing. But unlike me, she gets out there and writes. She's the author of the very funny Magpie Chronicles, and has just released part two of the series, Lindian Summer. I can't do better than Cressida at telling you what it's about, so here you are: Ten holidaymakers. Ten days. One small villa. One hot mess. There are details for Cressida's website and her books at the bottom of this blog. So, take it away Cress ... what pony books would you make a shelf for on your desert island?